The Healthcare Data, Technology & Services Blog: What value do conferences like #HIMSS15 and #AHIPInstitute provide? What value do conferences like #HIMSS15 and #AHIPInstitute provide? Attending a conference is major investment of personal effort, time, and money. Typically a conference fee, airfare, ground transportation, lodging, meals and other expenses are involved. And, depending on whether a company is paying your way or not, one might have to use personal time off and pay their own way. The cost for a multi-day conference can easily exceed a few thousand dollars. So what’s the benefit for this cost? I’ll use my most recent attendance at the 2015 AHIP Institute in Nashville to illustrate what I personally obtained for my investment. The keynotes, sessions and presentations at many conferences are provided by true industry experts; often luminaries in their field. I find it very valuable to hear and learn first-hand how new ideas, practices, systems and technologies are being applied or will soon be applied in the healthcare space. At the AHIP Institute earlier this month I was able to hear and learn from a wide range of experts on a plethora of topics. Many conferences have workshops and other venues where the attendee can gain hands-on experience. Increasingly, I see presenters structuring their presentations in an interactive, give and take manner. The Dell presentation on “Health Plan and Provider Convergence: Increasing the Value of Data Analytics” was a good example of this interactive approach. Between the industry experts and vendor exhibits, a conference provides a one-stop shop for learning about new ways of serving healthcare consumers and patients. Being able to get an overview of literally hundreds of new systems, processes and technologies – all in one space – and take a deeper dive into those of interest is invaluable. There’s nothing like face to face interaction. The advent of social media has made it even easier to get to know people before the conference and make the actual face to face time more enjoyable and productive. It’s a lot of fun to attend presentations, have a coffee, dine with and/or otherwise hang out with new people having the same profession and interests as you. 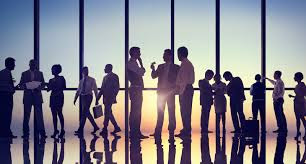 Just like networking with peers and associates, networking with others who may be able to produce or consume products and services of mutual interest is very beneficial. So I fell my investment of a few thousand dollars was well spent and I look forward to attending next years 2016 HIMSS event in Las Vegas, the 2016 AHIP Institute and other healthcare conferences. Note: For information on heatlhcare information technology and related conferences, consider following me on Twitter where I share info as @ShimCode and @HITConfGuy.